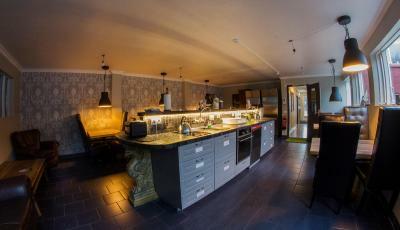 Lock in a great price for Selfoss Hostel – rated 8.6 by recent guests! The receptionist waited for us until we arrived, very nice of her. Big, pretty kitchen with 4 cooking stations - though I couldn't find a coffee maker anywhere, cute little public gathering lounge. Lots of bathrooms - several with toilet, sink and shower, but also 2 or 3 WC only and 2 shower only. Never had to wait though the place was pretty full with a large youth group as well as several more mature singles, couples, and families. Our shared bath triple room was cozy, basic, adequate with an in-room sink. We took a dip in snowy weather in the hot tub which is in rather battered condition out in the back yard. Saw that some people found the parking difficult as you must back out onto the street, but Selfoss is no massive metropolis and it was only a short wait for a break in the light traffic to do so. Unlimited hot water for the showers! Of course, you have to be considerate of others waiting to use the facilities, but it's nice to know you won't run out. Very good bakery right across the street! Breakfast for the weary traveler. Gas station is just a block away. After 10 p.m. it was quiet! I had a private room since I use a CPAP machine. Plenty of plug ins. Even had it's own sink and mirror so I could brush my teeth without having to wait for an open WC. The staff was very friendly, the common area is very nice. You'll find a lot of bathrooms, which is very convenient. Hot showers, fast WiFi, huge kitchen. Easy parking out front. A simple no frills hostel in the centre of town which suited our needs as an overnight stop as we travelled east. The staff were helpful and friendly and the facilities were better than we could have hoped for given the price we paid for our room. Amazing location and great alternative to staying in Rekyjavik. We used the hostel as a midpoint on our south coast road trip and it was so worth it! Even in winter the hostel was warm with a homely feel. Kitchen is large and well equipped - there's also a supermarket a short drive down the road. Really comfortable and the hot tub was very relaxing. Staff is super helpful. Located by Route 1 in central Selfoss, this accommodations offers free parking, free WiFi access and brightly decorated guest rooms. The Selfoss Geothermal Swimming Pool is 1,150 feet away. Rooms at Selfoss Hostel have views of either the garden or Ingolfsfjall Mountain. Each has an in-room sink and access to shared bathroom and kitchen facilities. During the summer season, breakfast is offered each morning to guests, while packed lunches are available year round on site. Relaxation options include a garden hot tub and a common TV room. Staff can help arrange trips in the surrounding area. The Bobby Fischer Chess Museum is 1 minutes’ walk away. Selfoss Golf Center is 0.7 mi from the hostel. This is our guests' favorite part of Selfoss, according to independent reviews. 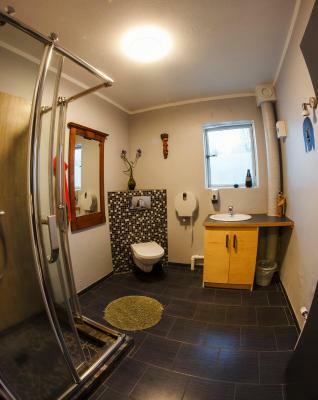 뀐 Located in the top-rated area in Selfoss, this property has an excellent location score of 8.8! When would you like to stay at Selfoss Hostel? 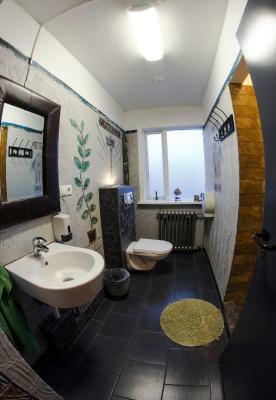 Brightly decorated room with an in-room sink and access to shared bathroom and kitchen facilities. House Rules Selfoss Hostel takes special requests – add in the next step! Selfoss Hostel accepts these cards and reserves the right to temporarily hold an amount prior to arrival. If you expect to arrive outside reception opening hours, please inform Selfoss Hostel in advance. If you expect to arrive outside check-in hours, please note that Selfoss Hostel charges up to EUR 15 for late check-in. No big cups for coffee in the kitchen. On the second morning all floor in the kitchen was dirty and sticky. Location is in the center of Selfoss. Nice hot tub in the garden. Nicely decorated showers. Nice hot pot and intersting Hostel. Nice hot Pot and intersting hostel! The window condensed and soaked my glove, and the outlets were loose and wouldn't hold my adapter so it was hard to charge my phone. Nice, quiet hostel. Never had issues with noise, or waiting for the washroom or the kitchen. Kitchen was well stocked and clean. Good wifi. Nice to have a sink in the room. Good location on the Selfoss main road, great if you want to spend more time exploring the golden circle on the way to south. The kitchen is spacious and there's a hot tub outside which is nice. They should exclude reception area out of no-shoes zone (especially during check-in); It is small but a little bit annoying thing. Especially if you consider that reception is only 1-2m away from shoes lockers, and floor is covered in tiles (as far as I remember). I don't mean this is a criticism as hostels are very social places, but the youth group was pretty noisy - just being typical teens in groups in the hallways and chatting and laughing loudly in the lounge in some European language I didn't know. The conversation carried so that you could even hear them trying to loudly "shush" each other from time to time. Quiet hours start at 10pm and two minutes prior I walked down and told them (in English, nicely but also like I meant it) that they needed to stop the noise now, that's enough for tonight and you are too loud. I was met with about 8 pairs of very wide eyes and a couple of "sorrys" as I walked away. Didn't have to tell them twice as all was quiet the rest of the night.